Does Your Institution or Archive-within-an-institution Have A Mission Statement? 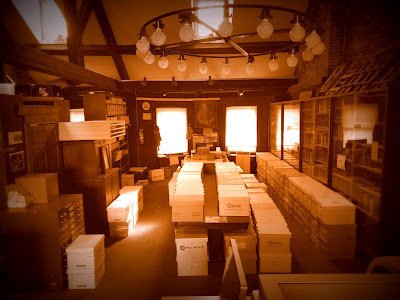 Most places do, at least for the whole institution, but it’s not a requirement and many archives that are part of a larger body do not have one specifically for their operations. Maybe your founders wrote a mission statement and it has never been revisited since. Perhaps your archive has such an obvious and narrow focus it seems silly to write a statement. If you’re the Archives of American French Fry Poetry, you likely collect only in that genre (Mmmm. French fries) and would not collect or preserve poems about ordinary, uncooked potatoes. The name says it all, so why spell it out in a mission statement? Perhaps somewhere in your long and illustrious history there was leadership that wished to branch out into poetry about ketchup. It goes so well with french fries and appeared to be an emerging genre in its own right. (Can you tell I’m hungry?) Why not collect that as material complementary to your main theme? 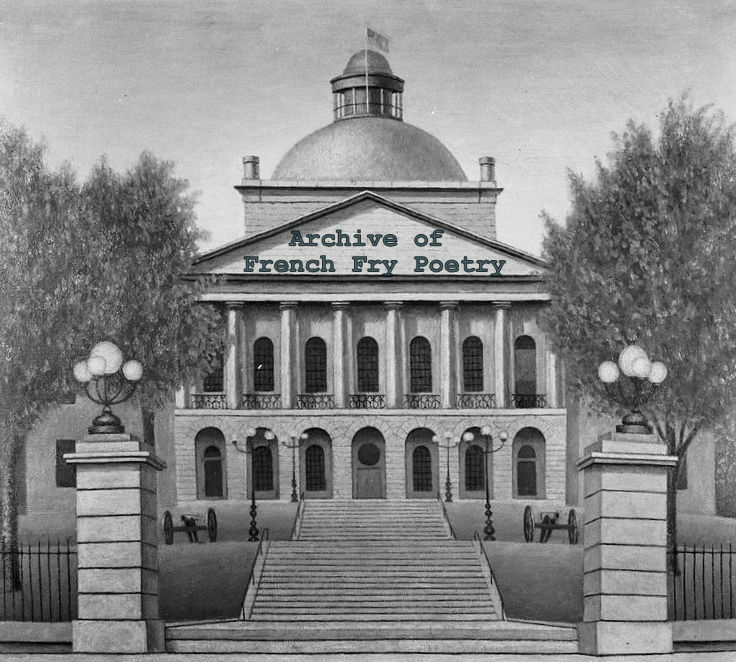 Your mission statement, if you had one that laid out your explicit purpose of collecting only poetry about french fries, would cancel out this idea immediately. Then again, this is not exactly what your mission statement is there to do. Yes, on some levels your mission protects you from becoming an unwieldy, ketchup-drenched monster. But it should also help you say what you really want to say in the world, and if it’s not letting you do that, it should come under review. Perhaps you did want to collect materials complementary to your main potato-y theme all along, but you were denying entry to ketchup because it fell outside your tried and true mission statement of yore. Mission statements should not only say something about who you are now as an organization but also say something about where you want to go as if you were already there. If you want to be “the premier collecting body of french fry poetry in North America” but your collection is only so-so, you have something to shoot for if you want it. If you’d rather not live under the pressure of being the best, leave the “premier” stuff out. So what are the key components of a solid mission statement? An easy starting point is to return to the basics of who, what, where, when, why and how (W5H). The bulk of ‘how’ can be left for other policy manuals and statements, but you may also want to mention it as a single phrase in your statement, too. Well then, who are you? Are you a straight-up Archive, collecting only documents about particular people, places or things? Are you a Library & Archives? That’s me. Not only does my institution collect material relating to the organization at large; we also have a library of published works that has always been called the Library, though even that could change someday since we don’t do a lot of things that a traditional library does. What is it that you have? Is your focus very, very narrow or extremely broad? Is it bound by what your greater organization produces or are you free-standing in a way that causes you to be on the lookout for new material as it floats by? Think about the media of your materials here, too, be it paper, artifacts, digital, or a mix of things. If you aspire to move into collecting new media consider it for inclusion in the mission if you want to work toward that capacity. Is your focus limited by any geographical considerations? Where is your institution located and does that have a bearing on what you collect? Maybe the place where you reside doesn’t affect your collecting goals at all or perhaps you are entirely mobile and untied to place. Is your focus limited by any time spectrum? Do you collect materials representing only a single century, decade, year, or moment in time? Perhaps you collect only items created during the American Civil War, but you could also have items reflecting back on that time, like later journals or written works. Why do you have all of this ‘stuff’? Are you here to simply collect, preserve and share items on a particular topic? Maybe your mission is all about having a dialog with your local community, or capturing aspects of a way of life before it fades away. The mission statement process should be slow and thoughtful. It can be a great starting place for developing other policy documents and for informing big decisions down the road. I suggest making the process big and messy at first. Get out your whiteboard markers, tape up some giant sheets of paper, or project a blank document on a screen and get the input of all of your staff, board, and maybe even volunteers (if you’ve got any of these folks around!). Maybe it’s just you brainstorming about what your Archive is. Take your time - maybe days, weeks or months of submitted comments and ideas will get you there. When all the ideas are out start to distill them down to a concise message by following the W5H format and playing around with it until you’re happy. When: From all periods of history! Why: Because they are mundane, wonderful, beautiful, simple and have stories to tell! They speak to everyday life through all of these characteristics. How: By having a Guinness World Record sized collection of umbrella covers on a tiny island in Maine. Pretty powerful stuff that gets to all the Ws and the H! Does your Archive have a mission statement? Share it with us in the comments section! Are you working on one? Share that too if you’d like recommendations or help! 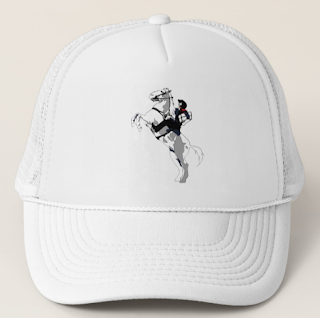 "Lone Arranger" trucker hats in my Zazzle shop! You're welcome!